How to Rip CD to FLAC on Mac/macOS Mojave/Sierra/El Capitan/Yosemite etc.? How-To's Comments Off on How to Rip CD to FLAC on Mac/macOS Mojave/Sierra/El Capitan/Yosemite etc.? FLAC is a losslessly compressed audio formats which means audio is compressed without data loss but file size can be reduced to 50–60% of its original size. FLAC is supported by many hardware devices like WD TV, Samsung Galaxy phones and tabs, etc. However, ripping CD to FLAC on Mac is not quite easy as converting CD to FLAC on Windows. The native CD Ripper, iTunes, can only rip CD to MP3, AAC, AIFF, Apple Lossless, WAV. Some programs that batch rip CD to FLAC easily are yet to support Mac OS X system. This article introduces a professional CD to FLAC Converter for Mac which helps you to batch convert CD to FLAC with fast speed and edit generic, artist, album and file name before conversion! The FLAC Ripper can also convert to FLAC as well as convert FLAC to any audio format in Mac. How to Play DVD disc, VOB files on Galaxy S7? Can Galaxy S7 Play DVD disc, VOB files? Galaxy S7 is fast, powerful equipped with Android 6.0 Marshmallow. It is designed with polished design, awesome camera, long battery life, microSD storage slot and water-resistant. Got the beautiful, awesome Galaxy S7 and want to play a DVD discs or VOB files on Galaxy S7? It’s a pity that Galaxy S7 cannot play DVD discs or VOB files. Samsung Galaxy S7/S7 Edge has limited its video playback support for only MP4, M4V, 3GP, 3G2, WMV, ASF, AVI, FLV, MKV, WEBM. How to Insert Video MKV,MP4,MOV,FLV,WebM,MTS to Kingsoft(WPS) Presentation? In mention of PowerPoint Presentation, it is powerful and effective to pass information to the audience intuitively. A PowerPoint presentation with video playing can make it much more entertaining and informative to its viewers. 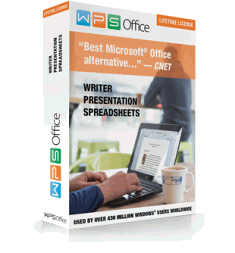 However, Just like PowerPoint, Kingsoft Presentation (also knows as WPS Presentation) only inserts few video formats including .asf, .asx, .dvr-ms, .avi, .mpeg, .mpg, .mpe and .wmv. What if to insert videos in other formats like MKV, FLV, MP4, MOV, F4V, WebM, iTunes video, iMovie video, and more? This article introduces a step-by-step guide on how to insert, add to embed all kinds of video to Kingsoft/WPS Presentation so as to successfully play videos in Slides. How to Extract Audio from WebM, AVCHD, MTS, HEVC, H.265, SWF, VOB, 3GP? This article guides you on how to extract audio from video WebM, AVCHD MTS/M2TS, HEVC H.265, SWF, VOB, 3GP as well as convert to MP3, WAV, M4A, DTS, OGG, FLAC, etc. This guide applies to extract audio from all popular video formats including MP4, AVI, WMV, MOV, MKV, etc. This guide also applies to convert between various video or audio formats to desired video or audio format. YouTube music videos win many of audiophiles’ favor for storing lots of classic music, and release lots of new fantastic music. Some music lovers download their favorite music from YouTube and convert to MP3 or MP4 to enjoy on the go. However, since updating iTunes to iTunes 12.3, Apple device users just found it’s impossible to add YouTube MP3 to iTunes, or import YouTube MP4 to iTunes. How to Solve Can’t add MP4 to iMovie in Mojave/Sierra/El Capitan? With the launch of Mac OS X El Capitan, Apple Inc. also released a minor update to iMovie for Mac that adds in support for Photos. With the new Photos integration in iMovie, it’s now possible for iMovie users to browse Moments, Collections, Favorites, and Albums that have been stored in Photos, using the Photos app to insert content into video projects. Easy Solve Can’t Install QuickTime in Windows 10? QuickTime is an extensible multimedia framework developed by Apple Inc., capable of handling various formats of digital video, picture, sound, panoramic images, and interactivity on Windows and Mac OS X. QuickTime lets you view Internet video, HD movie trailers, and personal media in a wide range of file formats. However, when trying to install the latest Quicktime v7.7.8 in the latest Windows 10, users are alerted “Quicktime 7 requires that your computer is running Windows Vista or Windows 7”. According to the official specs, iPhone 7, iPhone 7 plus, iPhone 6, iPhone 6 plus, iPhone 6s support audio formats: AAC (8 to 320 Kbps), Protected AAC (from iTunes Store), HE-AAC, MP3 (8 to 320 Kbps), MP3 VBR, Audible (formats 2, 3, 4, Audible Enhanced Audio, AAX, and AAX+), Apple Lossless, AIFF, and WAV. iPhone 6s, iPhone 6s Plus and other iOS 10/9 devices do not support audio formats FLAC, OGG, WMA, DTS, RA, APE, etc.